If one looks at my reading history here in my blog, I typically read fiction. After all, I use fiction toe escape from reality temporarily. When I was in graduate school, I referred to my short reading breaks as my "hour-long vacation" as it really provided a vacation from my daily activities. Nowadays, I don't have these breaks anymore, but rather, I use my commute time to read on my way to and from work. Anyway, I have picked up a non-fiction book this time, by Karen Kelsky. 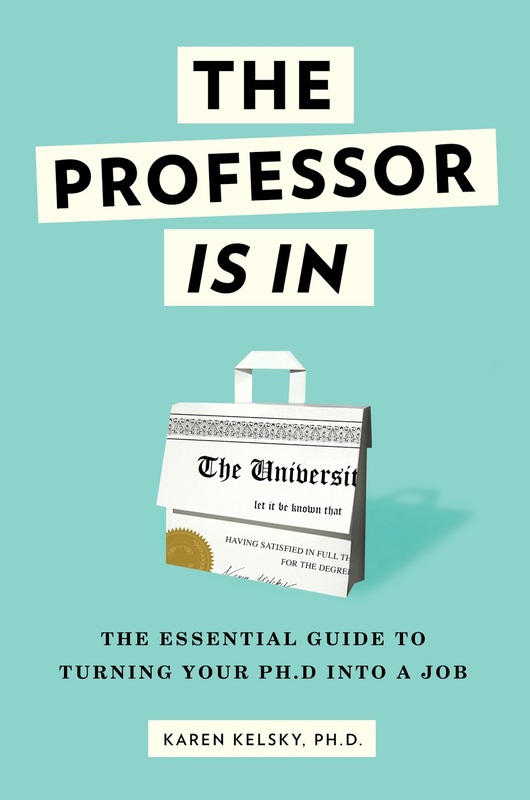 Entitled The Professor Is In: The Essential Guide to Turning Your Ph.D. 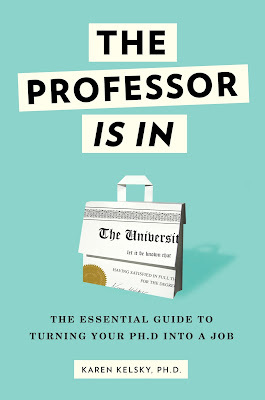 Into a Job, this book provides very sound advice on how to navigate the academic job market. It is in my opinion essential reading to any one trying to enter, remain, and leave academia. See, she gives advice that is rarely given in graduate school. Looking back on my own graduate school experience, I have gotten plenty of advice on how to do research. We graduate students had opportunities to develop our research program, our investigative skills, our writing, and so forth. However, from the practical side of things, it could have been better. This book fills in the gaps, and provides sound and concrete advice on how to navigate the academic job hunt. I would even go as far as saying that reading this book has rewired my brain and provided a new perspective on how to approach and deal with academia. So yeah, this book has made me think. It has made me evaluate what my priorities in life are. It has made explicit the nagging questions that I had in the back of my brain, and it has opened my horizons to new other possibilities, simply by showing how one can think differently, outside the lens of the academy. While I am not going to write about my own life plans in this post (this topic definitely deserves its own post), all I would say is that I wholeheartedly recommend this book to anyone who is in the academic job market, in graduate school, or even thinking about going to graduate school. If you are thinking of going to graduate school for a humanities degree, this book is all the more crucial for you to read. I give this book 5 out of 5 stars.